Passenger boarding Warsaw train at Krakow Glowny on 3 January. Photo Michal Bis/TVP. 2010 was not a good year. I wished all my friends that 2011 should be better than 2010 and they enthusiastically responded in kind. But, by the end of January, all my hopes were dashed. The celebration of New Year in Poland involves much travelling around the country. As soon as Christmas is over, people start their journeys to see the New Year in with their friends. Many young people travel south to the mountains to combine New Year revelry with skiing. Trains are traditionally packed. But this year something went seriously wrong. Tens of thousands waiting at stations such as Krakow and Zakopany found that their PKP InterCity trains, on which they hoped to return home, was not an extended rake of 12 or 16 carriages but had been reduced to a ludicrous 3 or 4 coaches. The papers were full of stories of passengers experiencing Third World conditions. One passenger arrested his train’s locomotive by holding onto its handrail and refusing to budge until the guard promised a place his own compartment. Not all would-be travellers were so enterprising; many were left behind swearing never to try to travel long-distance by rail ever again. The appointment of deputy CMTK director, Andrzej Massel, as Undersecretary of State responsible for rail by Polish Prime Minister Donald Tusk seemed to augur well for the future. Massel immediately ordered the sacking of Andrzej Wach, the chairman of PKP SA, though it has been reported that the decision was not Massel’s but part of a done deal between Prime Minister, Donald Tusk, and Minister of Infrastructure, Cezary Grabarczyk. Massel is a technocrat who understands how railways should work, but he lacks the political power and connections of his boss, Grabarczyk. When Wach was sacked, there were dissident voices that cuts were needed not just within the body of PKP, but also at the top of the Ministry of infrastructure. The SLD political party tried, but failed, to pass a resolution in the Sejm, the lower chamber of the Polish parliament, demanding the immediate resignation of Grabarczyk. The month passed quickly. Andrzej Massel, in a number of TV and radio interviews tried hard to dampen down expectations that all would be well shortly. He announced a new timetable to be implemented from 1 March. There would be even less trains, but at least those that remained would be run according to the published timetable. It seems to me that by this logic seriously ill AIDS patients should have their hands and legs amputated because there would then be less HIV cells in their bodies. A number of enterprising Polish railway video bloggers started to search for the missing carriages that had failed to run. They soon found hundreds of brand-new carriages, or carriages that had been recently upgraded to ‘as new’ condition, mouldering in carriage sidings up and down the country. There is no mystery any more. As the calendar page and turned over from 2010 to 2011, these carriages fell out of the “period of grace” that they had been given by railway inspectors allowing them to run temporarily after the expiry of their due dates for inspection and overhaul. Why had many hundreds of carriages not been subject to their scheduled maintenance programme? The answer seems to lie in today’s news that PKP IC’s interim end of year results are not significantly worse than the 150 million PLN loss posted at the end of Q2 2010. I suspect that, when the dreadful mid-year results were known, Grabarczyk/Englehardt ordered the chairman of PKP IC to cut his losses at whatever cost, because a spiralling deficit spoiled the chances of generating significant revenue for the government from an eventual PKP IC privatisation. If I’m right in my analysis, then the Polish government does not understand basic economics. One reason for PKP IC’s’s vanishing passengers and revenue is its high prices. Indeed for years, PKP IC has been steadily losing passengers while railway companies in neighbouring countries actually reported an increase in traffic. PKP IC’s inflated ticket prices are partly, but not wholly, caused by the astronomical PKP PLK track access charges. In fact PKP PLK competse fiercely with Network Rail’s for the title of having ‘the most expensive track track access charges in Europe’. Until the government recognises that it is consistently subsidizing the road infrastructure unfairly relative to its treatment of rail, matters will not improve. To add insult to injury on Tuesday, Tusk announced that 4.8 billion PLN (1 billion GBP) which had been allocated for expenditure on Polish rail was being diverted to the road budget. There was widespread consternation. Even the traditionally staid British-Polish Chamber of Commerce which much prefers to make its representations away from the glaze of publicity issued a stern press release rebuking the government for its decision. Modern PKP IC carriages stored out-of-use at Warszawa Grochow. Video KolejTakPkpNie. More of the same in Gdansk. Video TransPORTele. 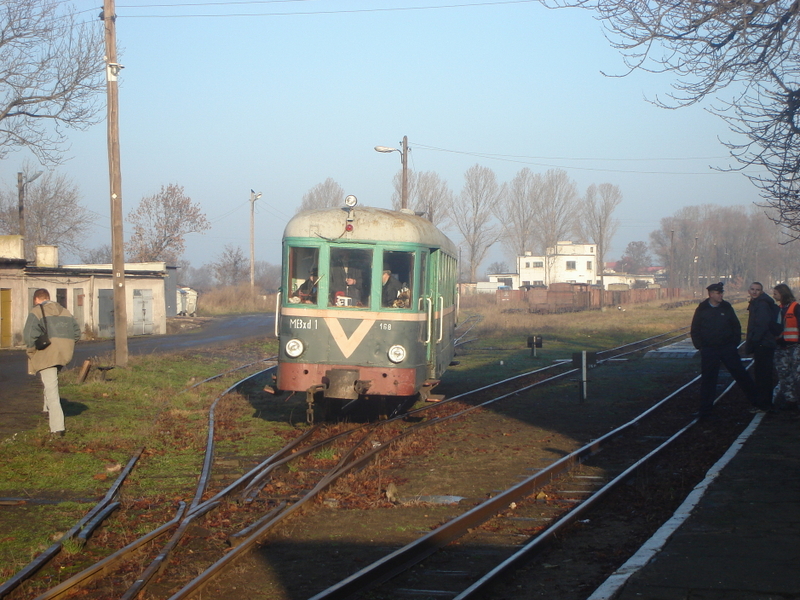 Motor unit Mbxd1-168 draws up at Krosniewice station in December 2006. Photo BTWT. 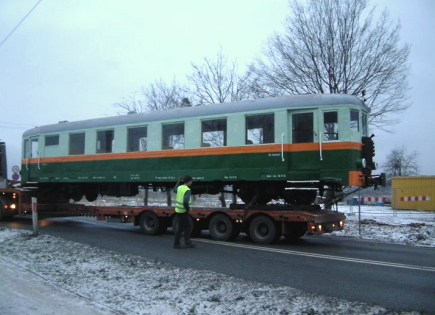 Motor unit Mbxd1-168 (formerly Bxhpi 1719) rebuilt from a passenger coach at the Krosniewice Railway workshops in 1966, has been delivered to Milicz where a small outdoor railway museum has been established. 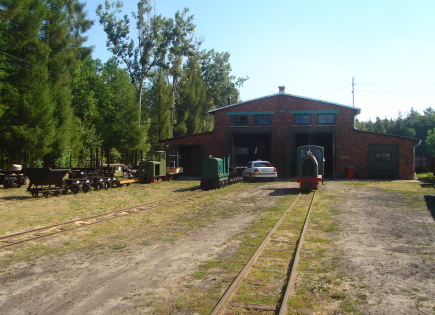 The railway museum commemorates the former Milicz District Railway which in 1945 was extended to link up to the Wroclaw Narrow Gauge Railway. For the last few years there were rumours that a section of this 750 mm gauge railway was going to be restored as an EU-assisted project, but the local authorities who own the line have now decided that most of the railway is going to be converted into a cycle path. It seems that those who supported the rebuilding of the railway are to be fobbed off with a ‘skansen’ with perhaps a short demonstration line. 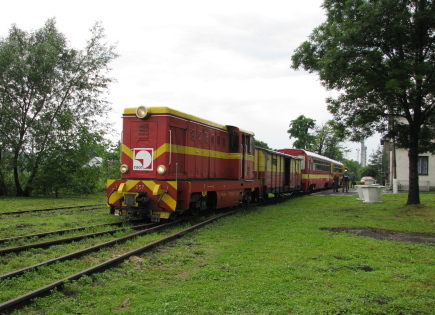 The motor unit was cosmetically restored by SKPL staff on the Pleszew Railway and delivered to Milicz on 22 January 2011. Mbxd1-168 leaves Pleszew, 22.01.2011. Photo SKKW. A Polish narrow gauge 0-6-0T LAS locomotive looking somewhat lost in Steeple Claydon, Buckinghamshire. Photo R~P~M, via Flickr. (CC) Some rights reserved. I was Googling through the Internet looking for a photograph of Moel Tryfan (the locomotive, not the mountain) when I found a suitable picture in the photographic collection on Flickr of R P Marks. However, I found much more than I was looking for. There, in a leafy Buckinghamshire glade, a LAS 0-6-0T was winking at me with one of its rear spectacle plates missing. How did it get there? What gauge is it? Where is it now? Is it for sale? I have no idea. But what a wonderful restoration project it would make particularly if, after being restored to working order, it could be brought back to its native land. A word of warning should you be tempted to explore the world as seen through the camera of R P Marks – his photographs are amazingly evocative and there are a lot of them. Once I had started looking at his pictures I was hooked and stayed up half the night! Przeworsk Railway special train due to depart June 2009. Photo BTWT. 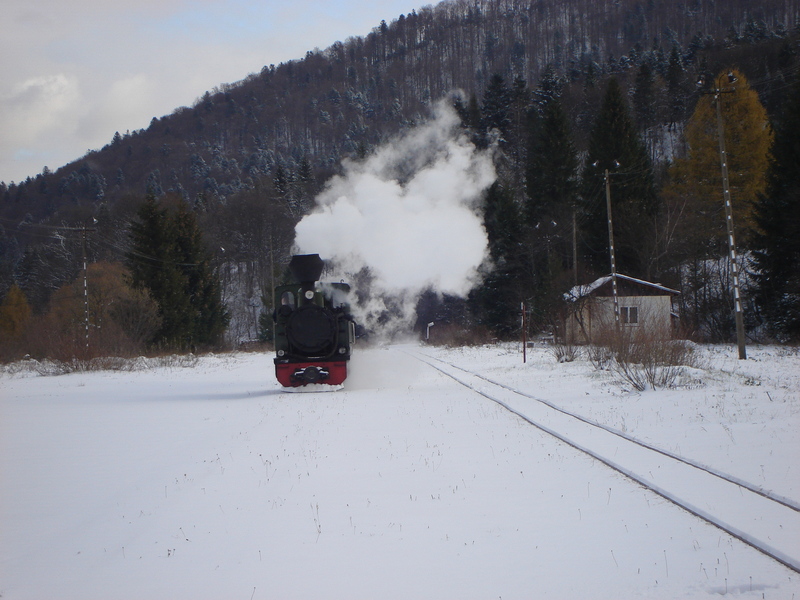 Several Behind The Water Tower readers responded to our appeal to write letters to the Chief Executive of the Podkarpackie provincial government requesting assistance for the Przeworsk Railway. All received a similar reply; a translation which follows. Applications were invited under the auspices of the framework of the Regional Operating Program for the province for the period 2007 to 2013, axis 6 Tourism and Culture. 103 applications were submitted to the competition from which the provincial government selected 50 projects with a total value of some 100 million zloty. Unfortunately, neither the operator responsible for running trains, nor anyone else (e.g. the Przeworsk District Council) presented any application for funding. A similar project submitted by the Bieszczadzy Forest Railway received some 700,000 zloty of financial assistance. The selection process was carried out in 2009. As a result of the above it was not possible to provide any assistance to the Przeworsk railway from EU funds. Because the above-mentioned axis 6 funds are now exhausted, no further selections are being planned. At the end of 2009, the Przeworsk district Council submitted an application to this office for funding from our own budgeted. Unfortunately, because of the modest means available from the provincial government’s budget, it was not possible to provide any assistance to the Przeworsk Railway. Notwithstanding the above, in 2011 work will be carried out with the object of providing financial assistance to the Przeworsk railway. Any decision will be the responsibility of the management and the council of the Podkarpackie provincial government. The letter from the previous chief executive of the provincial government is actually more encouraging than the weasley-worded second paragraph would imply. It is a sad fact the various regional EU funded programs intended to encourage tourism development have largely failed to help Poland’s tourist railways. The various rules governing EU funding in Poland could have been contrived to deliberately exclude these lines! One set of rules, administered by the Ministry of Regional Development, requires applicants to be the outright owner or have at least a five year lease of the object of the EU project. This automatically excludes SKPL whose 10-year operating agreements with local authorities mostly expire at the end of 2011. Local authorities, on the other hand, have open-ended licenses from PKP pending the transfer of of their railway’s freehold, come up against another regulation administered by the Ministry of Internal Affairs which hinders them from investing in facilities which do not actually belong to them. Those lines that have managed to submit successful EU funding applications have either (Gryfice Railway) managed to facilitate the transfer of the property title to the local authority in record tome, or have owned their own line from the start (Bieszczady Railway). Nevertheless, at least half the Przeworsk Railway has now been transferred to the ownership of the Przeworsk District Council and the new chief executive of the province is reputed to be more well disposed railway than his predecessors. Grounds for optimism indeed! Pionki, the end of a dream. Work starts, 2004. From a photo in the Pawel Szwed archive. (Click image to see the original photo, as well as other pictures showing the skansen’s development on the FPKW (Polish Narrow Gauge Railway Foundation) website. The Pionki Forest Railway, set up by Polish actor and former chairman of the Polish Narrow Gauge Railway Foundation, Pawel Szwed, is no more. Started in 2004,and opened in June 2005, the Pionki skansen was intended to be the base of an ambitious plan to relay part of the forest railway running through the Kozienice Forest. Pawel Szwed collected 600 mm gauge rolling stock from all around Poland and brought it Pionki where, with the help of volunteers, the exhibits restored to working order. The skansen was more than a museum, under the energetic direction of Pawel Szwed it became an attractive venue for a family day out. There were platelayers’ trolley rides for children, a pizza bar with bottles of beer for thirsty fathers, as well as the display of historic rolling stock rolling stock, and an exhibition of photographs showing the history of forest railways in the area. The skansen during a BPRIHP study tour August 2006. BTWT. (left to right) Pawel Szwed and BPRIHP founder Mike Pease. The Pionki forest railway project seemed set fair to succeed. Numerous consultative meetings took place with many of the local stakeholders. The forest authorities declared themselves delighted with the idea railway would bring visitors in an environmentally sensitive way to a number of attractions that they had developed deep in the forest. The Polish Environmental Partnership Foundation provided funding and know-how to help set up a partnership to make sure that the project retained and developed its roots in the local community. Then the project hit the buffers stops of Polish bureaucracy. Pawel discovered that it is one thing for a local body to declare their support, it is another for them to provide practical support or even sign agreements. Volunteers became dissatisfied at the lack of progress and drifted away to other projects. Finally, when it became clear, that the forest authorities would not sign the appropriate wayleaves to enable the railway reconstruction to go-ahead Pawel decided to shut down the Pionki operation. It is to Pawel’s credit that safe homes have been found for nearly all historic rolling stock that had been gathered Pionki. 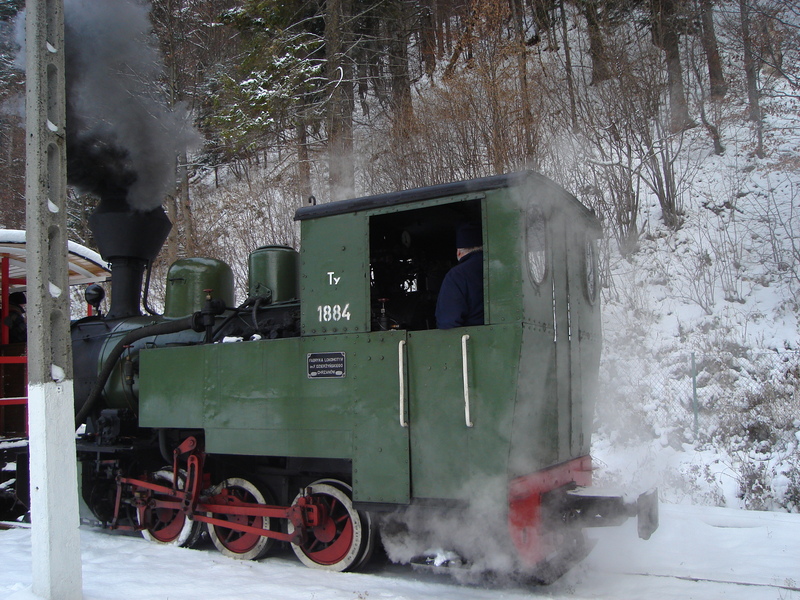 Some of the 600 mm gauge forestry railway items have gone to another forest railway skansen at Janow Lubelski. Two 750 mm gauge open coaches that had worked on the Starachowice railway have been acquired by a local authority that is restoring a small part of the narrow gauge railway network that once ran to Wroclaw. Finally certain items of rolling stock and Pawel’s own efforts have been transferred to Rudy where part of the 785 mm gauge Gliwice Railway is being restored as a tourist attraction. Various motive power, Smigiel Railway. Photo BTWT. I have just completed a very emotional telephone call with Wit Kreuschner, the general manager of the Smigiel Railway. Tomorrow Wit hands over the inventory of the railway to Smigiel Town Council and will be general manager no more. It is a sad day for a man who ten years go was the initiator of the plan to save the line, and with the help of SKPL, engineered its takeover by Smigiel town Council. Jerzy Ciesla, the town mayor in those days was an enthusiastic supporter of the railway and the idea that it should continue to play an active part in the economy of the area. The motives of the current administration are more difficult to fathom. Wiktor Snela, the present incumbent in the mayoral post told Robert Hall that he believes the railway has a future as a tourist attraction rather than as a transport undertaking. A year, or so ago, I attended a meeting at which the deputy mayor said that the Town Council has no interest in developing the Town’s tourist attractions. So which statement is correct? Time will tell. The last post, reporting the Smigiel Railway’s demise under SKPL auspices, generated a huge amount of interest. On January 6, we had 1,310 hits, a BTWT record. This ‘surge’ in readership also took BTWT over a total of 300,000 hits. But we will not be celebrating these milestones. In response to the article a number of BTWT readers suggested organising a collection to cover the Smigiel railway deficit for one year. It would have been churlish of me not to have passed the idea on to Tomasz Strapagiel, SKPL chairman. Tomasz asked me to express his appreciation and to explain that the railway’s finances are not really amenable to a rescue plan. In brief the financial arrangements were as follows. The line’s finances were always on a knife edge. The line needed some 150,000 PLN per annum to cover its costs. There was an understanding between SKPL and the Wielkopolska provincial governor’s office to the effect that the railway would receive funding of 100,000 PLN each year in return for operating a public transport service. But before this grant could be paid, it had to be to be approved by provincial government council members, this usually took place in early summer. Afterwards it took a month or so the funds to be processed and then for various legal reasons it was paid to the Smigiel Town Council. Smigiel Town Council’s management team then had to decide how much of this grant should be actually handed over to SKPL and how much cash should be retained for its own expenditure on matters to do with the railway. By September SKPL received the remaining cash in their bank account. The shortfall was made up from freight revenues and a small amount of ancillary income. 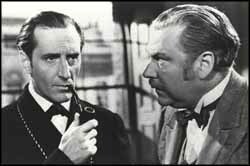 These arrangements were not conducive to the railway’s good health. SKPL never knew what the line’s operating budget was, and so would scrimp and save so as to reduce the eventual deficit. The council saw the effects of this and grumbled about SKPL’s parsimony. And so year by year the relationship deteriorated. When freight carryings ceased, and the Council demanded that SKPL pay local taxes, the elastic snapped. Perhaps now, where there is no third party to shift responsibility to, the railway might undergo a renaissance? I very much hope so. In the meantime we and many friends of the Smigiel Railway will watch developments carefully and raise the alarm should the council go back on its commitments to continue operating the railway. My condolences to Wit and his daughter Lidia, who together comprised the line’s management team and for whom the railway was like a member of their family. 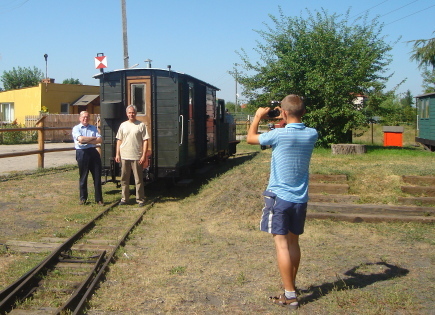 They were always generous with their time and hospitality to all who came to visit this unique line – the last Polish narrow gauge line to run a genuine passenger service. I hope that both will be able to find equally rewarding employment elsewhere. Wielichowo, looking towards Rakonowice, 3 May 2010. Photo BTWT. The Smigiel Railway, for many Poland’s last ‘real’ narrow gauge railway, is no more. In a letter dated 30 December 2010 to Wiktor Snela, the Mayor of Smigiel, SKPL chairman, Tomasz Strapagiel withdrew from the operating agreement between SKPL and the Council, pointing out that, in 2010, SKPL only received 48,000 zloty of the 100,000 zloty subsidy paid by the Wielkopolska provincial government towards the costs of running the line. The remaining 52,000 zloty were retained by Smigiel Town Council – 32,000 zloty in lieu of local taxes, and 20,000 zloty to fund this year’s 110th anniversary celebrations. In the same letter Mr Strapagiel offers to continue to run the railway until such time the Council is ready to take over the responsibility for running the line on the basis that the Council cover the line’s operating deficit. A short paragraph appears on the SKPL website to the effect that services are suspended as form 1 January 2011. It is understood that the Smigiel Railway staff have been offered alternative employment by SKPL. The goods shed at Wielichowo, 3 May 2010. Photo BTWT.